Think it's impossible to improve on a 10 out of 10 score? Think again – play 10s or Better poker to find out how easy it can be, and to rack up some seriously big wins. Think it's impossible to improve on a 10 out of 10 score? Think again – play 10s or Better poker to find out how easy it can be and to rack up some seriously big wins. 10s or Better is a thrilling variant of the game, which is rather similar to Jacks or Better. 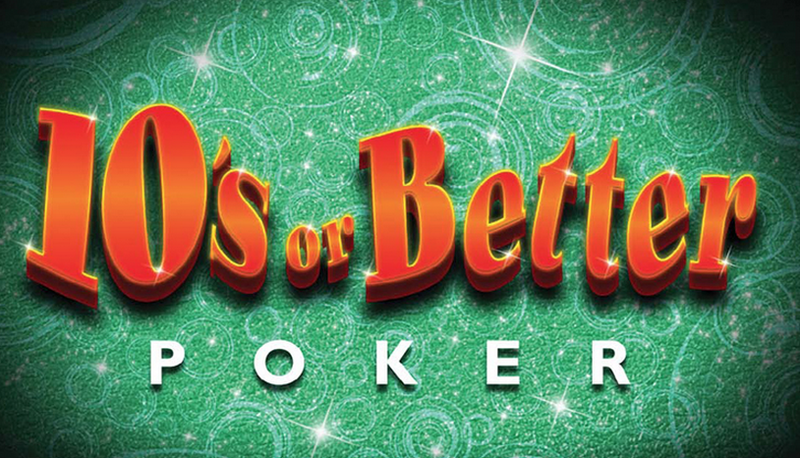 Payouts begin with a pair of tens, or a higher-ranking hand. You have the option to gamble your winnings and double the amount in your bankroll. 10s or Better uses no wild cards and is played using a standard 52 card deck. When you play 10s or Better, you will simultaneously find it rewarding, exciting and at times, stressful...in a good way. 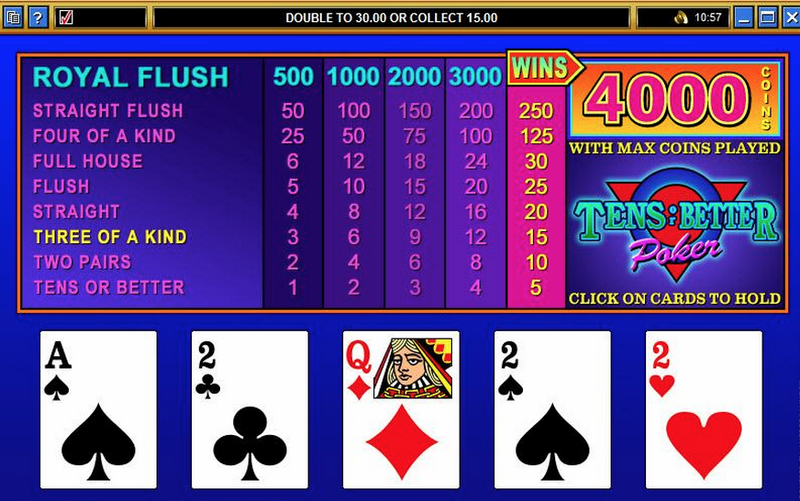 The top payout on this game is 4000 coins, but only if you have bet the maximum amount and are holding a Royal Flush. All payouts begin with tens or better, the payouts increase in size as your hands rank higher. This is a single hand game, played with a standard deck, there are no wild cards either, so all winning hands must be comprised from that deck of 52. Once you have a winning hand, the fun really begins – you have the opportunity to double your amount. 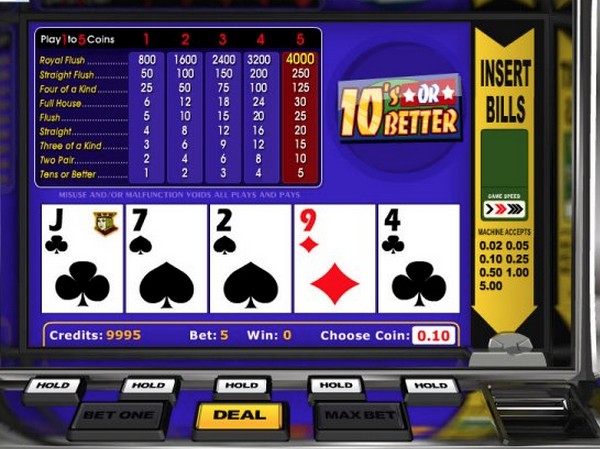 Choose the Gamble option, and you will be taken to a bonus screen where you are presented with five new cards. One of the cards is turned over, and you must then choose another card to beat the value of the flipped card. It's similar to play your cards right, except there's no Bruce Forsythe – if you are successful, your win will be doubled. However, if the card is lower, you lose everything and Brucie gives you a pat on the back as you cry into your sleeve.